Bev Wahl started her teaching career like so many of us did—taking over for a teacher in the middle of a school year. For many first year teachers, this is a doomsday scenario. So what happened to Bev Wahl that she is now in her third year of teaching and thriving? It’s a two part answer. She was fortunate to be hired by the Prairie Rose School Division in Alberta, Canada. She immediately became part of the division’s new teacher induction program. 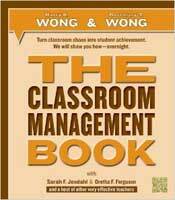 She took our advice and read Unit C on Classroom Management from our book and various teachers.net columns. She put together her plan and sent it to us to review. At the end of her partial year, she was rehired to start her first full year in the classroom. 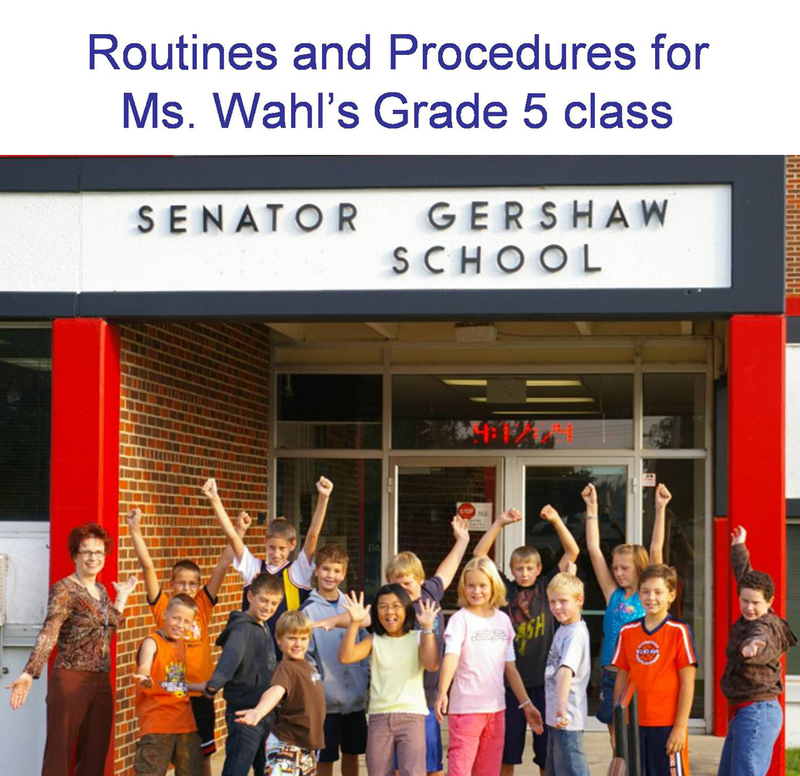 Bev shares, “I went to the interview prepared with a list of procedures and routines necessary for a Grade 2 class as well as a plan for the first day of school. Click here to see the PowerPoint presentation she shared with her class at the start of this school year. From the beginning, Bev Wahl took what other effective teachers were doing and applied it to her teaching situation. Let’s gets to the point. A teacher must produce results. A school must produce results. The students must learn and the overwhelming research says that there is only one way to produce student learning and student results. It is with an effective teacher. For the past eight years we have been featuring effective teachers, administrators, and schools. Their plans and procedures are all outlined in print. What they do is not unique; what they do is easily replicable. All teachers can be just as effective as the teachers featured through the years in this column. How? They are trained to be effective. This is the story of Lowell Leffler, Deputy Superintendent of the Prairie Rose School Division in Alberta, Canada, and how the division teachers are developed into effective teachers. What they did to Bev Wahl and continue to do with all their new hires is replicable. Teach the teachers well and they will teach the students well. It is a no-brainer that an effective school district or school has a professional development program to continually upgrade the effectiveness of their teachers. The first several years of such a professional development program is called an “induction program,” a process used to train new teachers to become effective teachers and to acculturate them into the goals, mission, and curriculum of the school district. Lowell further says, " I am hearing teachers say that because of our induction program, they feel the obligation to give back to the Division and the rest of the TEAM. Even relatively new teachers are looking at getting their Master's degrees with the hopes of one day getting into administration. The Prairie Rose Induction Program has eight components. Click here to see these components. Noted researcher, Richard Ingersoll has reported that effective induction programs have seven or more components. While many school systems rely on one-on-one mentoring as their entire induction program; in reality, it is but one small component of a larger group of assets used to train and acculturate teachers. Click here to read the research. 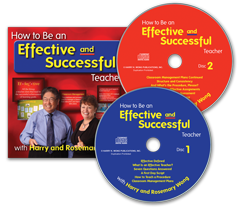 Lowell shares with us, “The induction program, your book, the videos, and CDs have been tremendous for helping get our new teachers off to a great start. 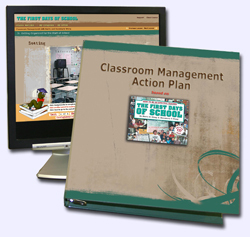 But the biggest factor, overall, that has affected Prairie Rose, is your online classroom management course. Click here to learn about the course. Lowell says that the feedback he has received tells him the online course was most valuable when teachers had opportunities to discuss things together and share ideas within the entire staff. He says, “I facilitated a session of all our first-year teachers, along with some administrators and veteran teachers and we completed the course together. “The interaction and sharing was unbelievable. While the course is set up to be done individually, we have found it to be much more valuable when entire staffs take it together and end up all teaching and reinforcing the same procedures and routines. “I am seeing entire staffs now adopting school-wide routines and the feedback I get from them is why they haven’t done this sooner. It is making all their lives easier. “While there is value in taking this course individually, the benefits of doing it together are exponentially greater. I have seen firsthand the benefits obtained when staffs are on the same page implementing common procedures and routines. It is so much fun to see that we have reached that ‘critical mass’ where one or two ‘negative’ individuals cannot derail the process. “It has been very interesting to see the impact that these new teachers have made on the rest of their schools. The veteran teachers have seen the successes that they have enjoyed with the implementation of their routines. So much so, that it has become a relatively easy sell to convince the whole staff to take the online course together. Lowell tells of a school that has done a 180 degree turn. Because the teachers had taken the online course together, the whole staff spent much of the weekend before the beginning of a new school year planning some common routines. By the end of the weekend’s work, they had completed a common PowerPoint template that all could modify to start off their first class. They even went so far as to have the same seating plan in every classroom. Some teachers at this school, Parkside Junior High School, shared, “We decided as a staff to have school-wide rules and procedures in place in order to keep consistency within our classrooms and school. We have found collaboration and a common direction vital to establishing structure within our school. This has been very beneficial for the first year teachers since we have new strategies to try, while the veteran teachers have the experience to implement them. Together, we have created an effective learning community of mutual respect, support and order. The teachers created PowerPoint presentations using examples from various teachers.net. columns. They shared their presentations through email with the entire staff and each individual teacher then adapted these presentations to suit their personal requirements within their classroom. Two of these are presented here. Danelle Wist is a first-year teacher and Lloyd Bray is a veteran teacher with 20+ years of experience. Their PowerPoint presentations are a little different, but overall very consistent. It is not necessary to reinvent the wheel. Copy and paste ideas that work and adapt them to your classroom. 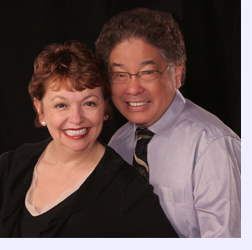 Click on the name to see Danelle’s and Lloyd’s PowerPoint presentations. Lowell leads the induction process. He says, “I have worked with several of our staffs in the last couple of months to go through the Classroom Management course together with them. It is amazing how there is just as much positive feedback coming from the veteran teachers as there is from the rookies. Lowell is so pleased with the induction process that it has affected veteran as well as new teachers. He says, “When I talked to each staff member, it is like they have died and gone to heaven. When you walk down the halls now, you see teachers out in the hallways talking to students and smiling faces on the students. Between the online course and the new teacher induction program, the students don’t have a chance. But from what I hear, the students are, also, loving things the way they now are. 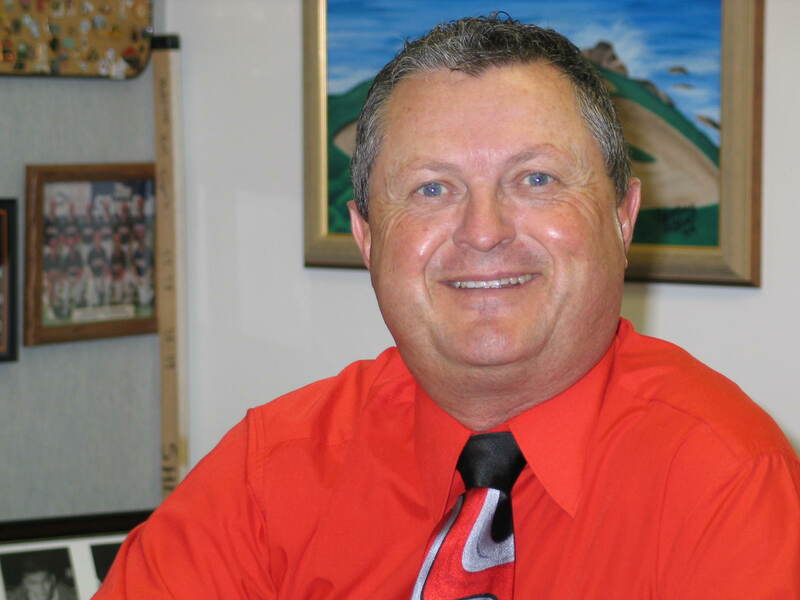 Lowell reports that since implementing their induction program and the online classroom management course he has seen a dramatic increase in the number of teachers expressing an interest in administration. He says that he does not know what the trend is in the States, but in Alberta they are finding less people willing to take on the added responsibilities of administration. relatively new teachers are looking at getting their Master’s degrees with the hopes of one day getting into administration. Lowell recently retired but remains as a consultant to his school division. He is also available to consult with schools or school districts desiring to create an effective induction program. 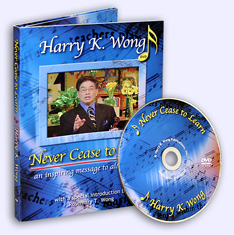 He can be contacted at Teachers in Training at lowell@teachersintraining.com. 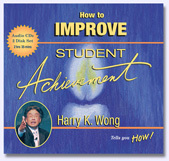 Students learn from effective teachers and effective school districts and schools train their teachers to be effective. For the past three years we have had the pleasure of communicating with several administrators and teachers in the Prairie Rose School Division. Their enthusiasm is high and their results are equally as high. This past November the Minister of Education presented Prairie Rose with the Minister's Education Leadership Recognition Award. Overall, the Division was recognized for maintaining excellence or making significant improvement in the quality of education of its students. When administrators and teachers see the success of others in their system, it is easy to get them on board. The collaborative process at Prairie Rose began teacher to teacher, grew to school to school, and now is a division-wide effort. All of the schools agreed to one common procedure. That ended being bellwork. Students can go grade to grade, school to school, and expect the class to start with bellwork. Lowell shares that they hope now to go beyond bellwork and establish more common procedures to implement across the division. What Prairie Rose is doing is easy to replicate. 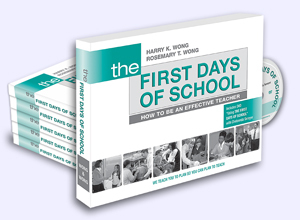 In the new fourth edition of The First Days of School, the “Epilogue” has been written to help administrators and teacher-leaders with guidelines on how to implement the techniques presented in The First Days of School. Many of the past teachers.net columns feature schools and the steps taken to create successful learning environments for the students. It is clear in all of the research; it is the teacher that makes the difference in a classroom. For teachers just starting out or teachers that got lost along the way, find a teacher similar to you in our work and use them as your model for success. 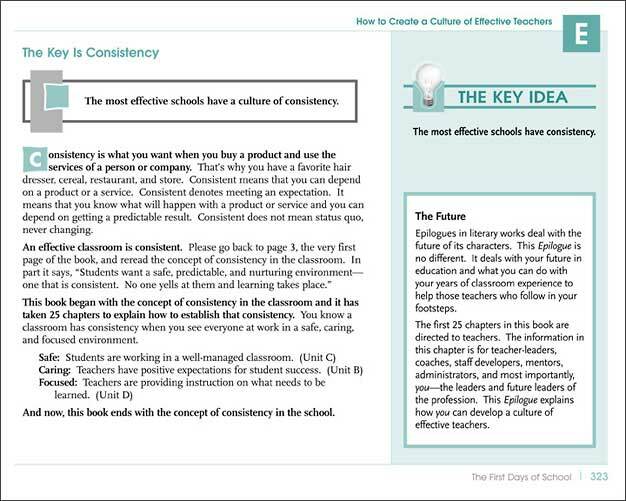 You’ll discover some common threads—call them the Three Cs to Effectiveness—Consistency, Clear procedures, and Communication of a caring, learning environment. 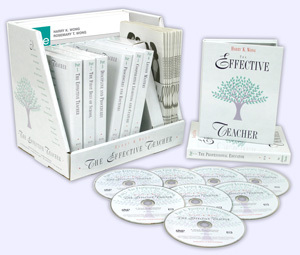 We invite you to do the Fourth C—Copy from the effective teacher and paste it into your teaching repertoire to become the Effective Teacher you were meant to be.